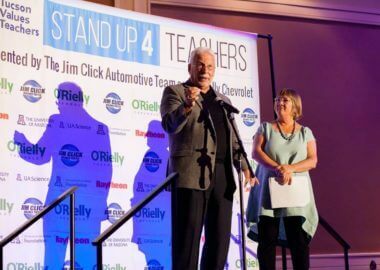 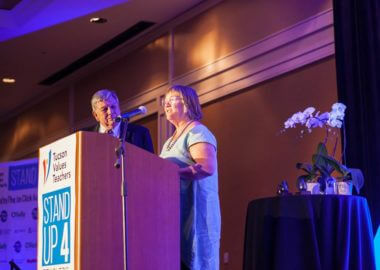 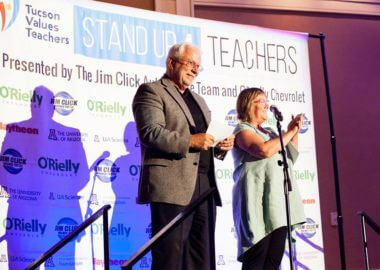 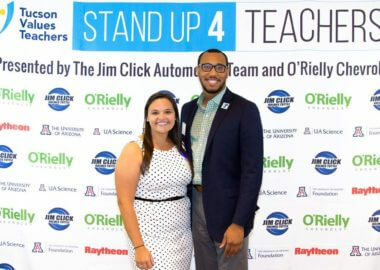 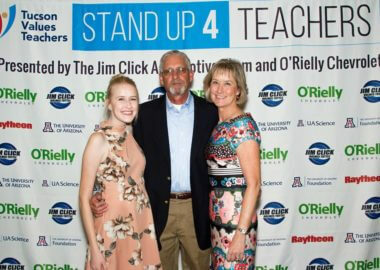 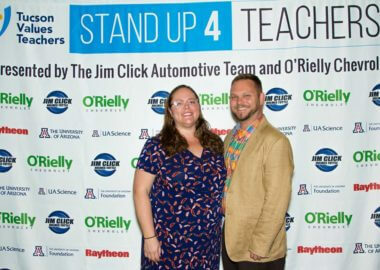 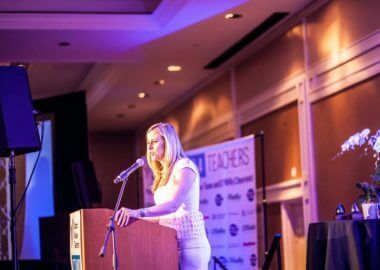 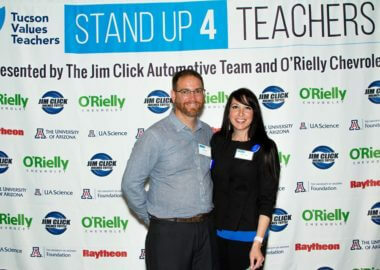 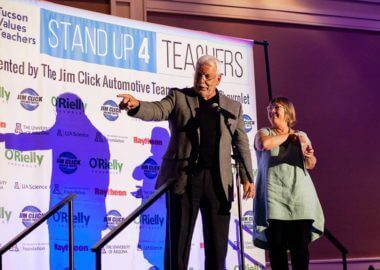 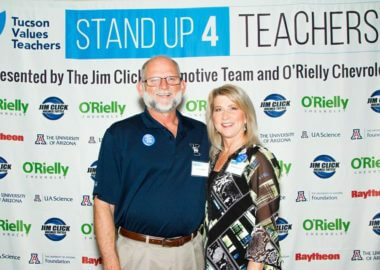 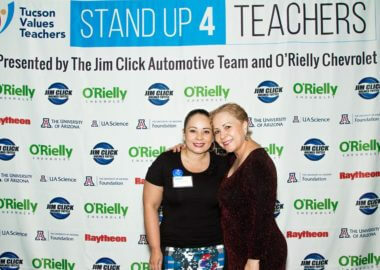 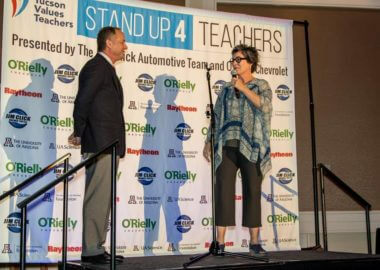 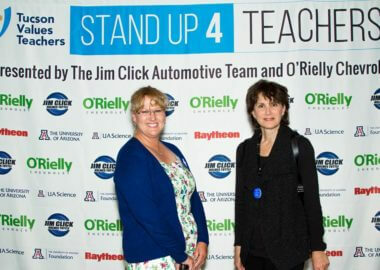 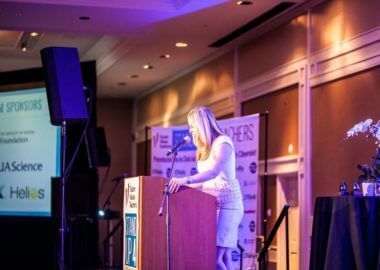 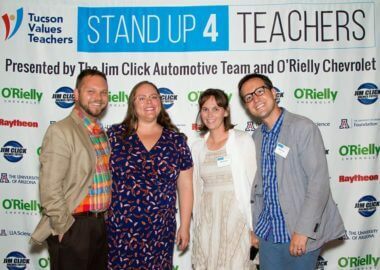 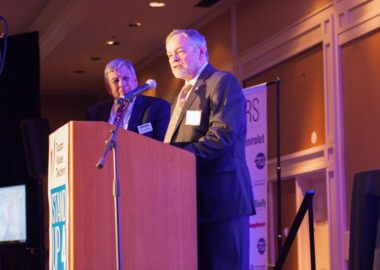 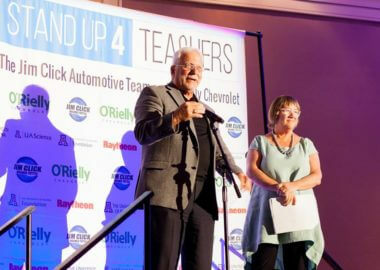 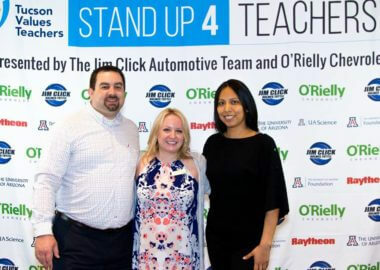 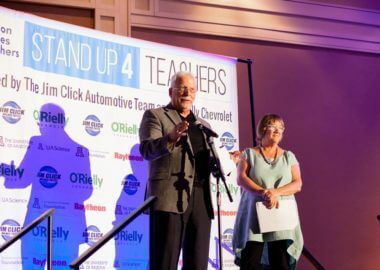 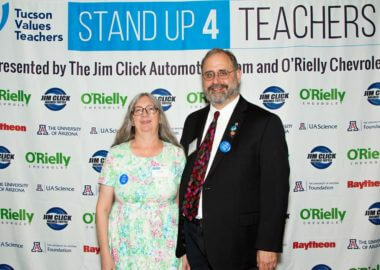 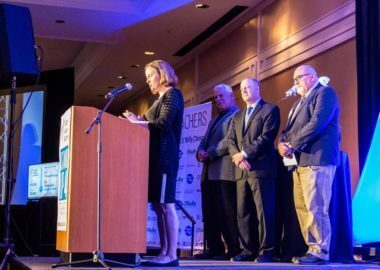 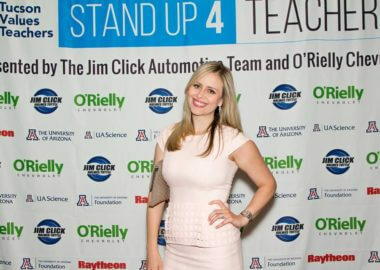 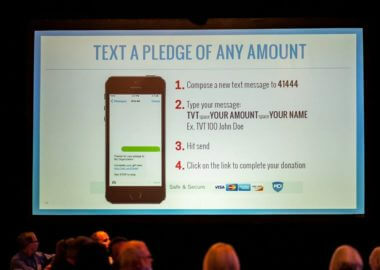 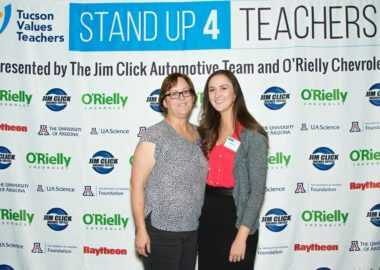 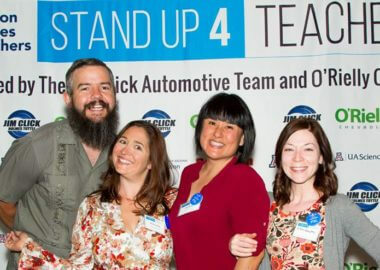 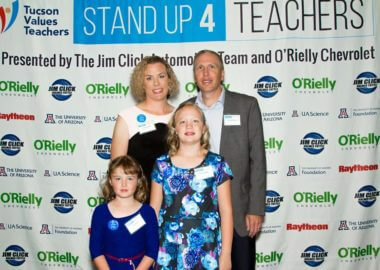 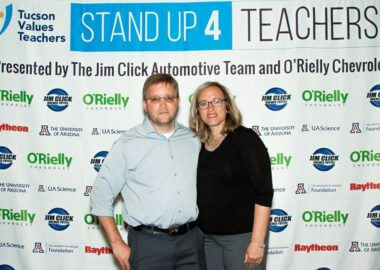 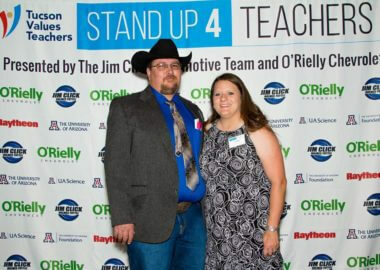 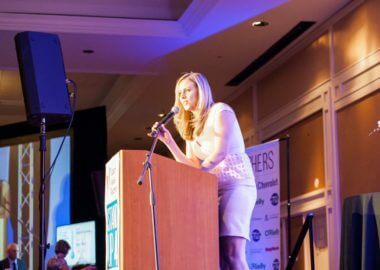 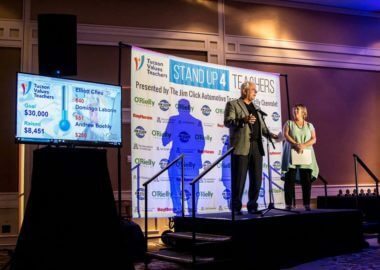 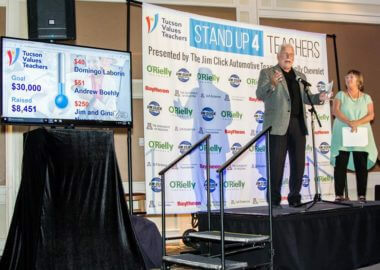 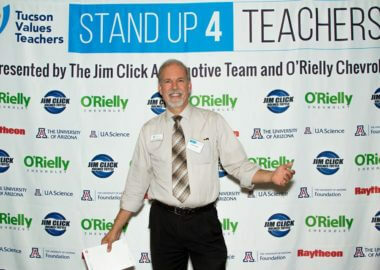 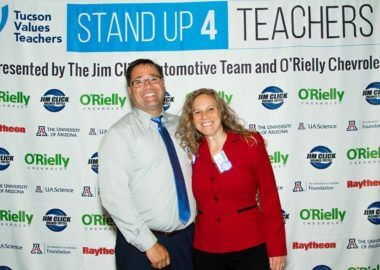 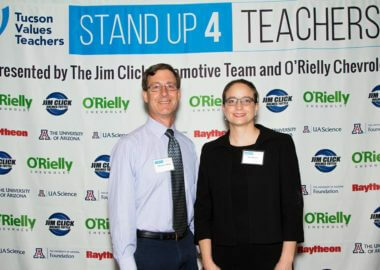 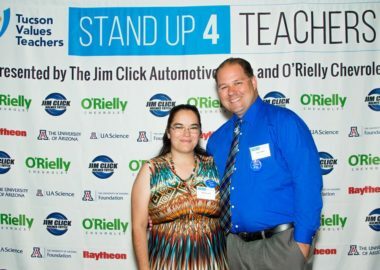 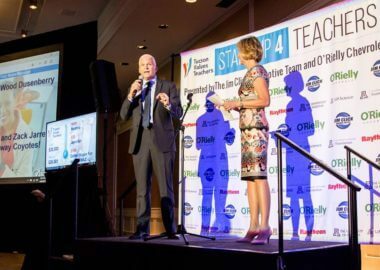 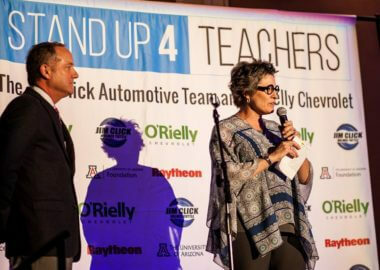 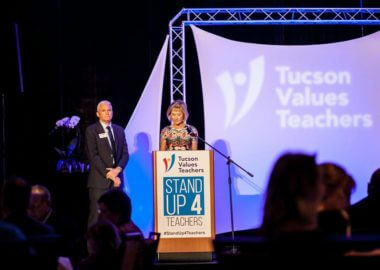 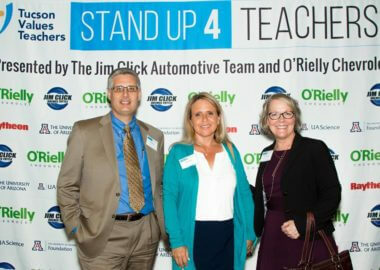 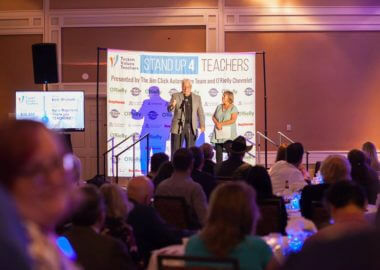 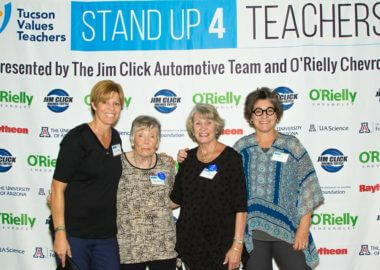 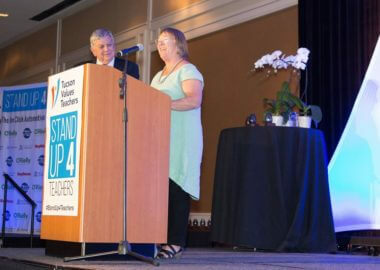 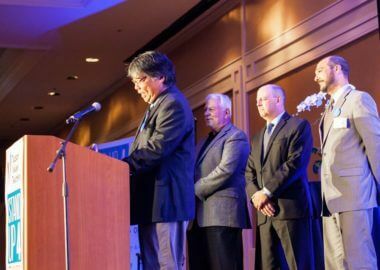 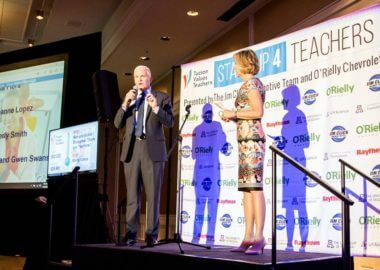 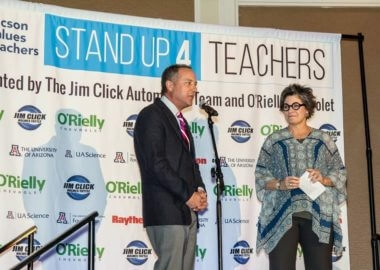 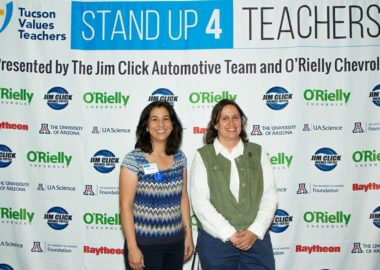 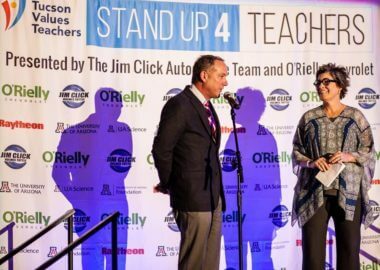 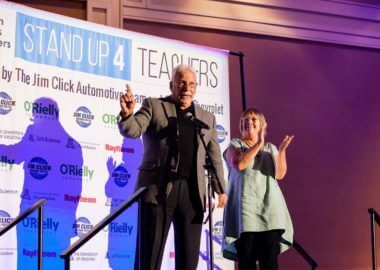 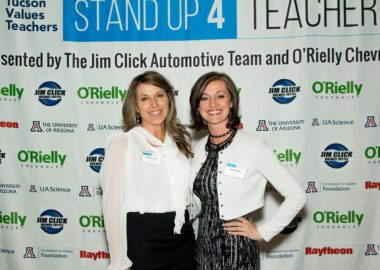 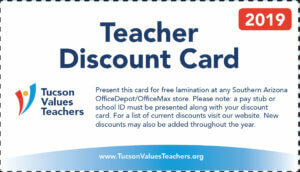 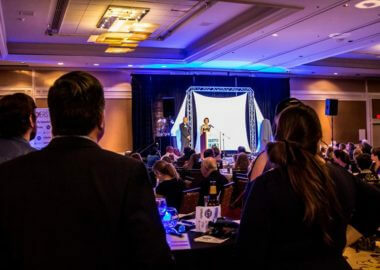 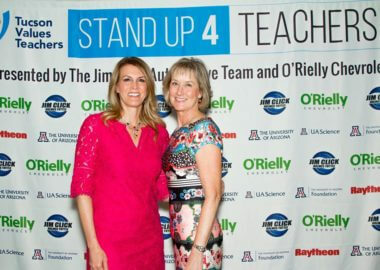 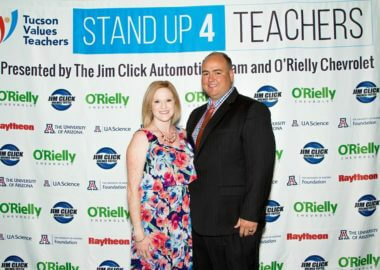 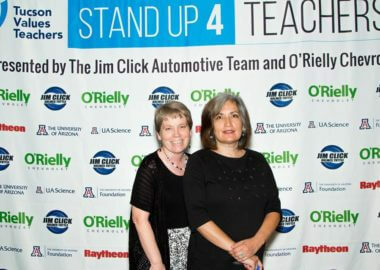 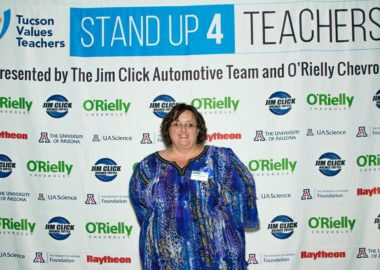 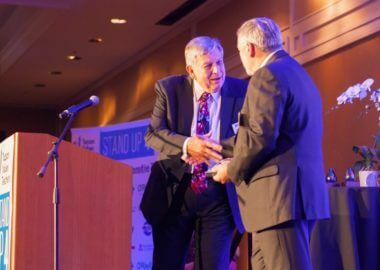 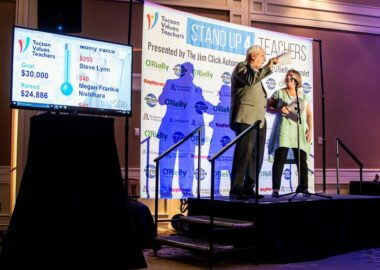 Stand Up 4 Teachers is an annual event that presents awards to honor both local businesses and teachers. 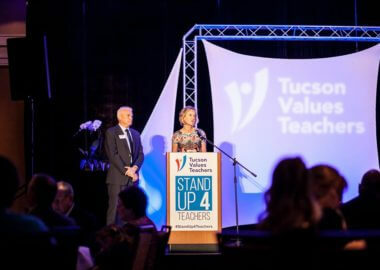 The Spirit of Education Awards are presented to a business and/or philanthropy that supports education in our community. 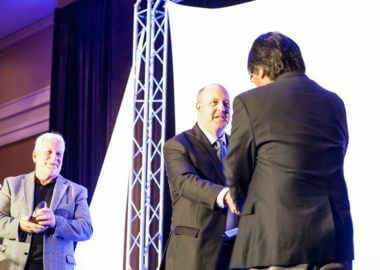 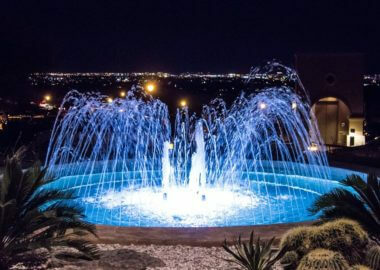 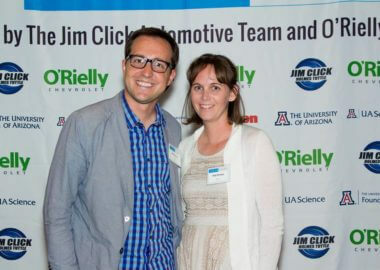 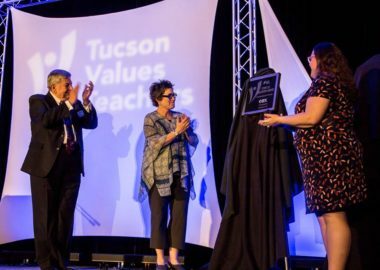 Past recipients include Raytheon Company, Tucson Electric Power, Cox Communications, and the Thomas R. Brown Foundations. 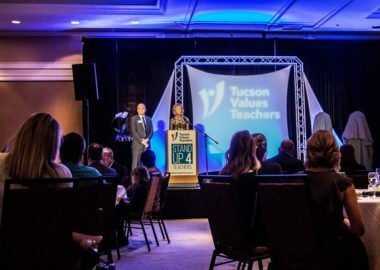 The Raytheon Leaders in Education Awards are presented to 3 outstanding Pima County teachers annually. 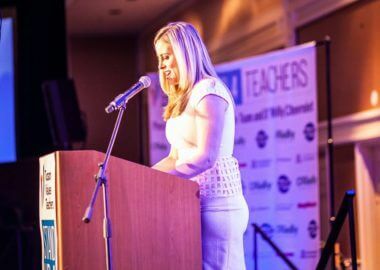 Teachers must submit an application and complete an essay and interview. 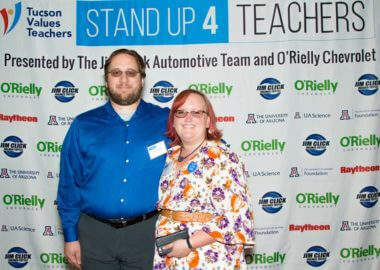 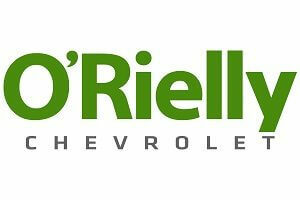 Recipients receive $2,500 for themselves, as well as $2,500 for his or her school, sponsored by Raytheon Company. 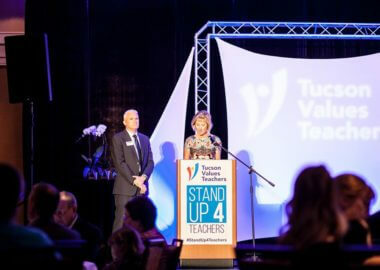 All finalists also join the TVT Teacher Advisory Council. 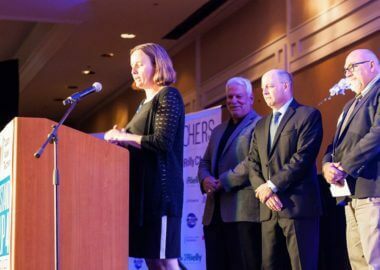 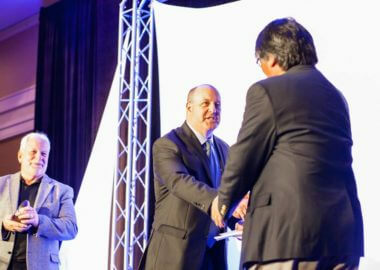 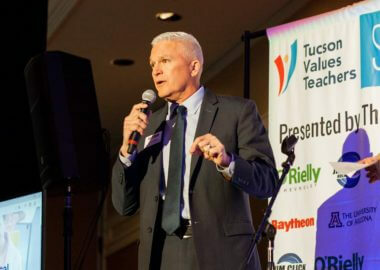 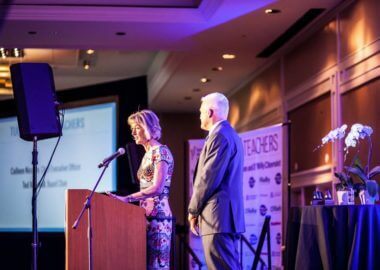 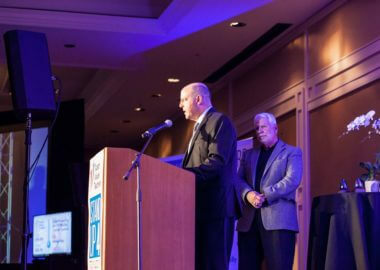 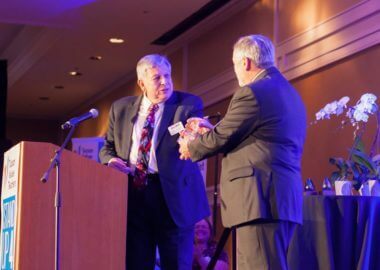 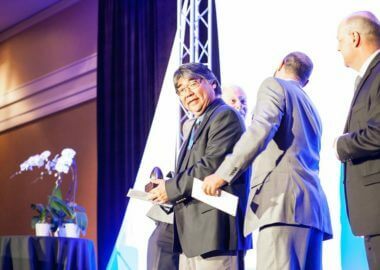 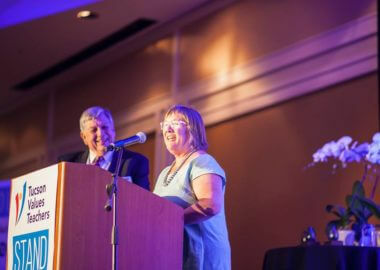 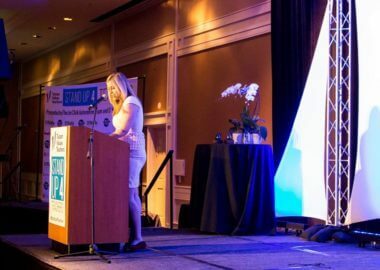 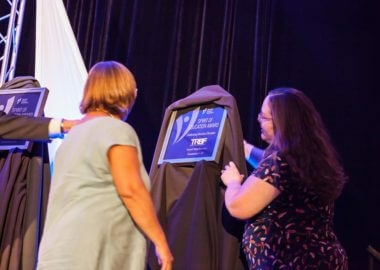 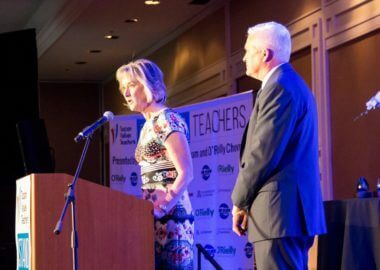 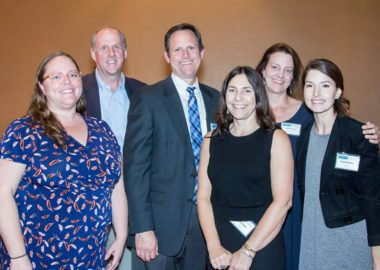 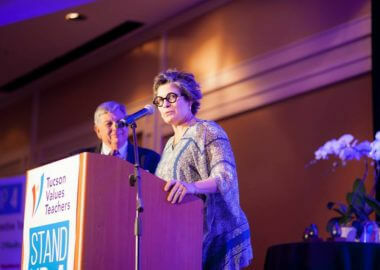 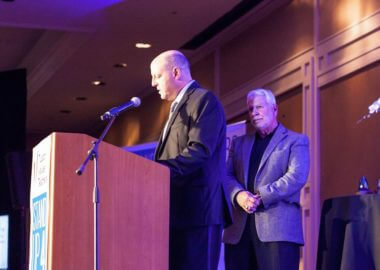 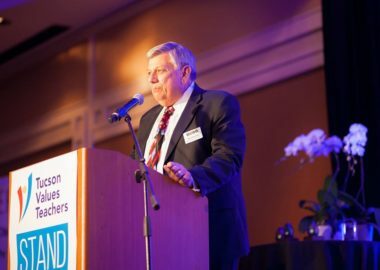 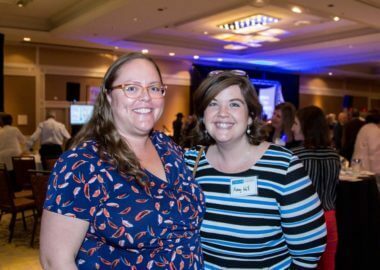 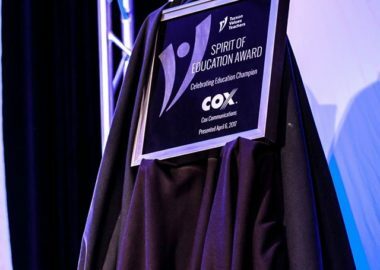 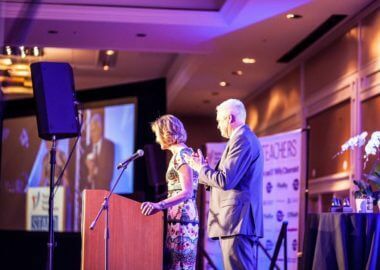 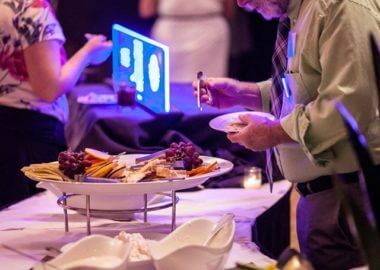 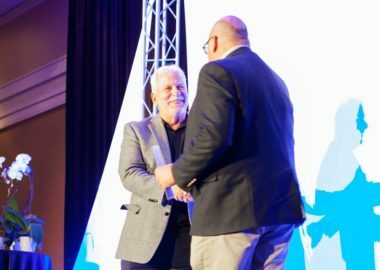 More than 150 teachers and 300 community leaders and educators joined us on April 6 to honor Cox Communications and The Thomas R. Brown Foundations with the Spirit of Education Award for their commitment to education in our community. 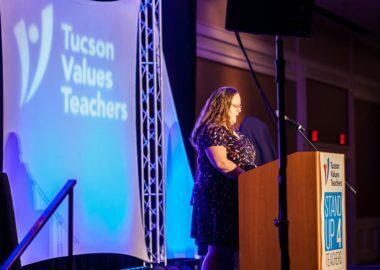 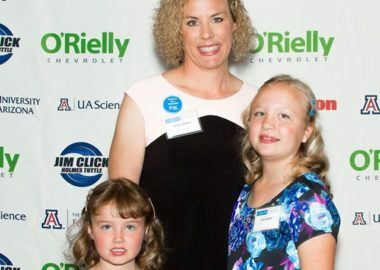 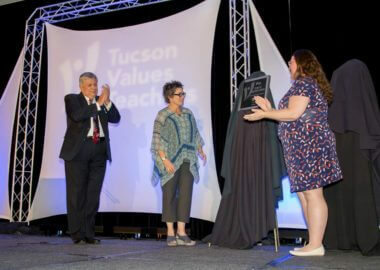 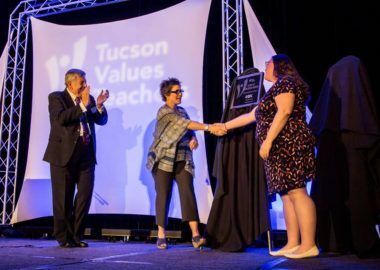 We also presented three outstanding Pima County teachers with the Raytheon Leaders in Education Award: Jessica Howell of Hendricks Elementary (Flowing Wells School District), Lauren Marlatt of Coronado K-8 (Amphitheater Public Schools), and Steven Uyeda of Sunnyside High School (Sunnyside Unified School District). 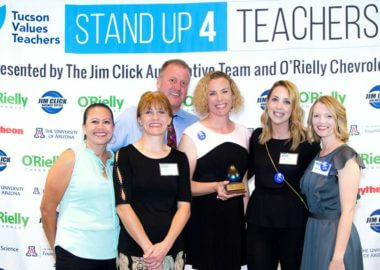 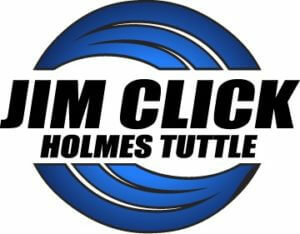 Each teacher received a $2,500 award and an additional $2,500 for their respective schools. 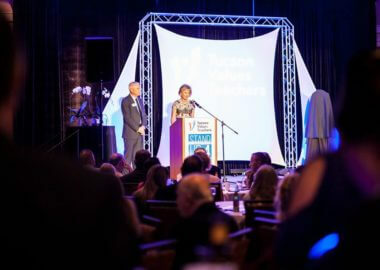 Congratulations to all of our award recipients, and thank you to our generous sponsors who made this event possible.